Ticker in menu bar or separate window. Selecting certain preference panes could lead to a crash. Fixed. Fixed a rare case in which two entries would show on top of each other. 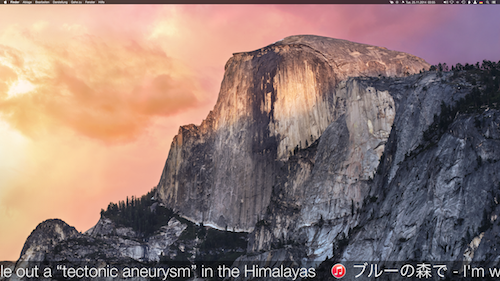 Universal Ticker lets you place a scrolling ticker either in your menu bar or anywhere on screen. 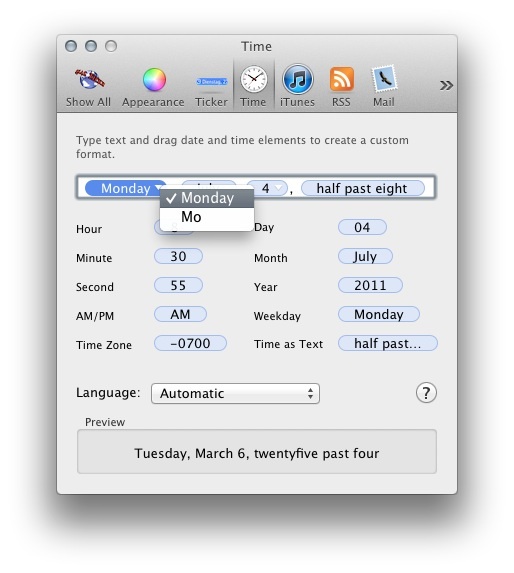 This way you can keep track of the latest news, upcoming birthdays, music playing or you can even use AppleScript to display whatever you want. 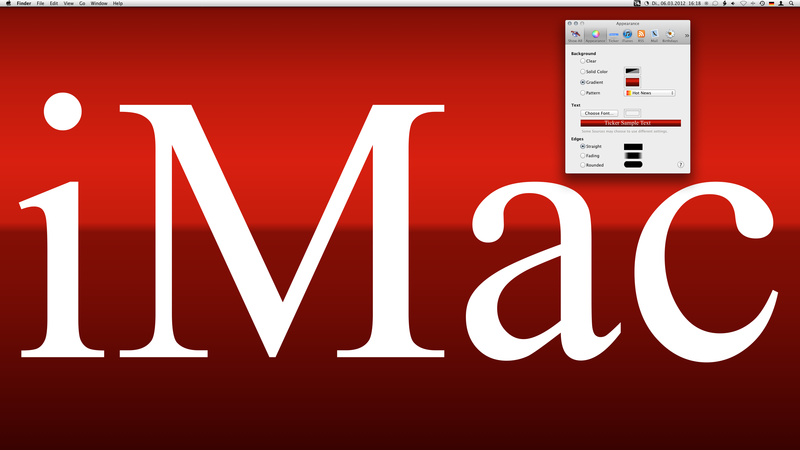 Resize your ticker window to any height you want. 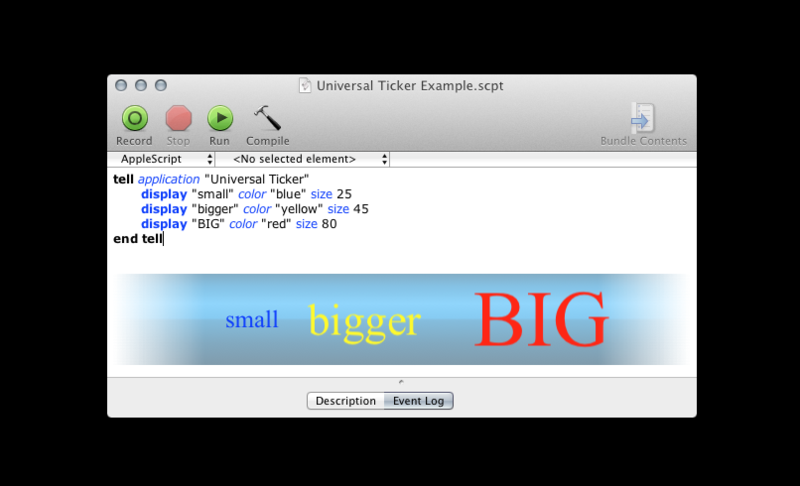 Universal Ticker will scale text automatically to fit the ticker size.